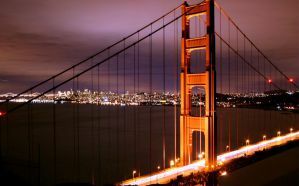 San Francisco is one of the most beautiful cities in the United States. It sits on a peninsula and is famous for its hills and townhouses. It has more hostels than the average American city, so it is a popular destination for backpackers from around the globe. There is a decent public transportation system so it is not difficult to travel around, but many visitors choose to stay in the centrally located Union Square area. This is where you'll find a large number of hostels and hotels. Many of the restaurants and shops are quite touristy in this neighborhood, but you don't have to travel far to get outside of the tourist district. 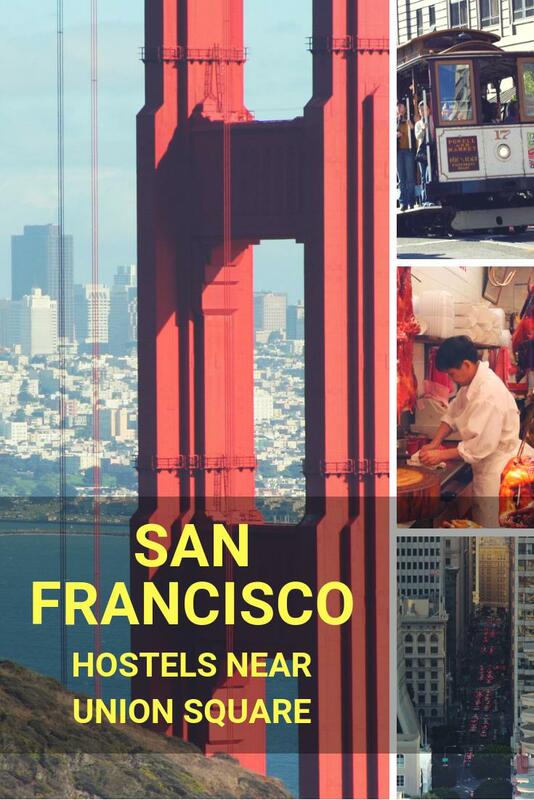 This is one of the most highly recommended hostels in San Francisco. It's a great value and offers guests a large range of services. The atmosphere is fun and social and it's conveniently located in downtown San Francisco just a few blocks from Union Square. Guests can choose between a variety of room types including both private rooms and dorm rooms. Visitors are quite diverse and range from solo backpackers to couples, student groups, and families. Included in the price is also an excellent breakfast that includes homemade oatmeal, fresh fruit, different breads and bagels, jams, cream cheese, nutella, juice, coffee and tea. There's dinner available to guests on certain days of the week as well. This hostel organizes all kinds of events including movie and popcorn nights, wine and cheese tasting, board game night, and pub crawls. This is a great, fun, and social hostel in San Francisco. There's a lobby where many guests enjoy hanging out and playing pool. There's also a library where you can borrow books. There are plenty of perks available through the hostel including free breakfast, in-room lockers, luggage storage, laundry service, a fully stocked kitchen, a dining area, and discounted tours. Room types range from four bed dorms to private rooms. There are also regular activities scheduled for guests. The hostel is conveniently located near Union Square and is just five blocks from Powell Street station. It's also in walking distance of both Chinatown and Japantown and seconds from the cable car. This hostel is a great value in a central location. It's just a short walk from Chinatown and the SOMA neighborhoods and is surrounded by many different clubs, restaurants, bars, theaters, and galleries. It's been recently renovated so it's comfortable and modern. You can even choose between private rooms and dorms that have no more than 4 beds. There is plenty of common space where guests can hang out and a new bar where many people enjoy socializing. You'll also have access to a kitchen, patio and lounge. Other amenities available to guests include laundry, luggage storage, wi-fi, full kitchen, a reading area, organized activities, and more. This hostel is just two blocks from Union Square, right in the heart of San Francisco. It's near a variety of the city's famous attraction and is conveniently close to public transportation. It offers guests internet access and wi-fi service, free breakfast, a guest kitchen and dining area, a washer and dryer, a lounge with a television, security lockers and more. They also host a Friday night wine party for free. You can choose between dorms and private rooms with and without private bathrooms.